Featuring 500 cards. Shop for complete sets on eBay. Mixing old- and new-school sensibilities is 2013-14 O-Pee-Chee Hockey. A huge checklist promises to be one of the year's biggest and most complete. Add to that another sizable slate of inserts, both high- and low-end, and you've also got some of the most variety hockey card collectors are likely to see. 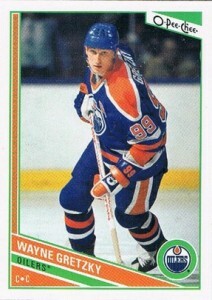 The 2013-14 O-Pee-Chee Hockey base set once again has 500 base cards. In addition, there are also 100 total Marquee Rookies short prints fall every other pack. 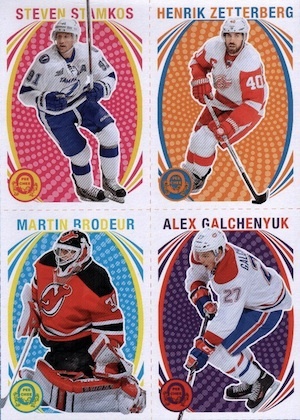 Rookie cards include players who debuted in 2012-13, include Nail Yakupov, Alex Galchenyuk, Vladimir Tarasenko, Mikael Granlund and Jonathan Huberdeau. Parallels stick to the same configuration as recent years. Every pack comes with a brightly colored Retro card. Rainbow parallels are inserted 1:4 packs while Black-Bordered cards come numbered to 100. NHL Team Logo Patch cards return for a second season, offering a major challenge for those who undertake the set. Like 2012-13 O-Pee-Chee Hockey, the patches use several designs. This year, they include cartoon patches, anniversary logos and pre-WWII designs. 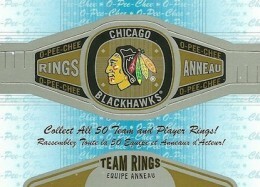 The manufactured patch cards are inserted four per case with 100 cards in the set. Autographs are rare in 2013-14 O-Pee-Chee Hockey. 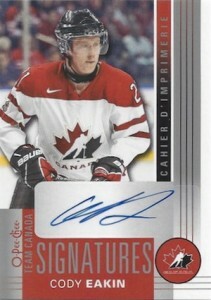 OPC Signatures are 1:192 packs. Team Canada Signaturesare twice as tough, falling 1:384 packs. 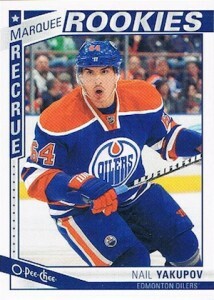 2013-14 O-Pee-Chee Hockey also has a pair of basic inserts that are relatively easy to find. Stickers land 1:4 packs. 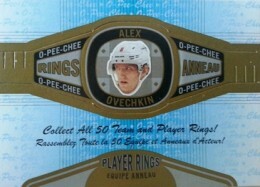 New Rings can be punched out and worn by collectors. These are inserted 1:16 packs. A wrapper redemption returns for Canadian collectors. For every 50 hobby wrappers, collectors can visit a participating hobby shop and request a pack of exclusive cards. My favorite set of the year. Can’t wait to see what the actual card fronts are like! That this is considered a “low end” product for set builders blows my mind. The way the SP are seeded you’d have to buy 7-8 boxes at a minimum for a chance at building a complete set. At $60 a box you’d be looking at dropping a MINIMUM of $400-500. I’m sorry, but that’s not low end if you’re trying to build a set. Robert � If you’re building strictly by buying boxes, it can get pricey. However, OPC boxes and singles are both widely available for low prices. It is a set that challenges people to build sets, but it’s also one that lends itself well to impulse buys and casual collecting. 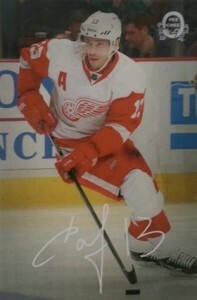 Ryan, Do you expect there to be something similar to the OPC Black & White set included this year as well? Eric � Not sure. Last year they were a surprise inclusion so it is possible. But until anything is confirmed, it’s a big question mark. 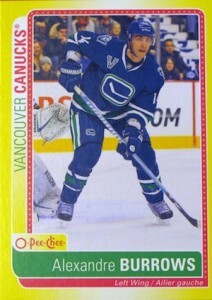 How can you miss with O Pee Chee, just talk to anybody about Hockey cards and the name O Pee Chee will always pop out in the conversion. This is a Canadian tradition that will last forever. I love the look of the cards form what I’ve seen on ebay so far. 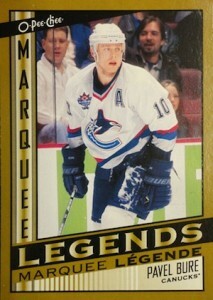 I’m glad the marquee legends were reduced to and insert set. I hope they do it like that from now on. But did they have to include those same players as regular cards in the base set? What can you tell me about those glossy insert cards that are not on the OPC Checklist? They appear to be an unannounced addition much like the Black and White cards from last year. We’re working on compiling details. Is the wrapper redemption only for Canada. I thought I read that somewhere. This is what I call fun. Now on my second case. Not sure if they are considered hot boxes but my first case netted me a box with a rookie retro in every pack, another box was 16 retro rookies and 16 base retro, another box had a black border parallel in all 32 packs numbered /100, I received 4 patch cards with one of them being the Montreal patch with a pull rate of 1/ over 1,900 packs. 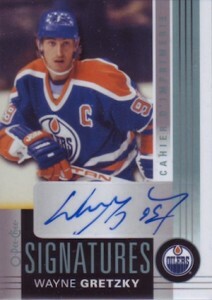 Also rec’d 3 autos and 1 glossy of Stamkos. All in All I was very happy. Looking forward to case number 2 tonight. Enjoy all. Opened 3 Hobby, 1 fatpack, rec’d 1 retro. 3 gold foil Rookies,3 other Rookies, 1 LEGEND GOLD Bobby Orr, 1 Evander Kane Sticker, GILMOUR, CLARKE, & BOURQUE BASE SET CARDS. Satisfied with insert ratio here. Just starting on my 2nd case. 1st case got me an Orr Sport Royalty autograph. 2 boxes into 2nd case and 1 box had black border card in each pack, 2nd one had retro rookie in each pack plus John Tavares Canada autograph. I would have preferred 50 Marquee Legends plus 50 Rookies as opposed to 99 rookies.